Penultimate meeting of our spatially distributed reading group this morning discussing chapter 7 of Dark Matter: Art and Politics in the Age of Enterprise Culture. 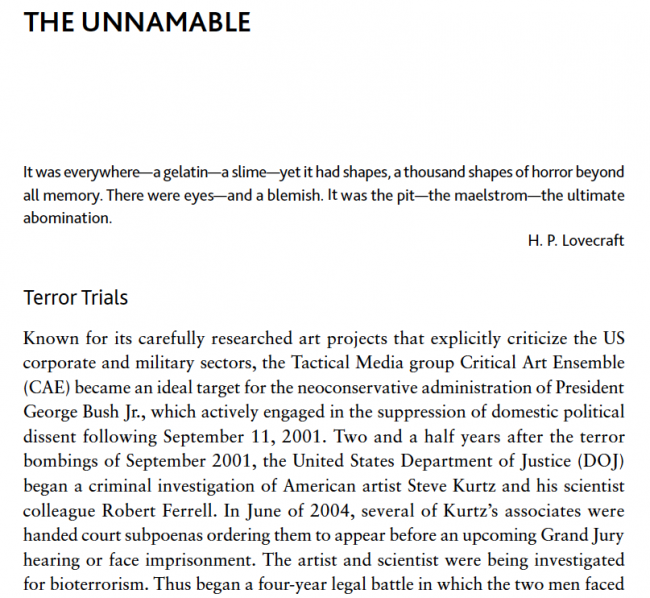 In this chapter Sholette turns to the work of Tactical Media group Critical Art Ensemble to highlight practices that retool the everyday as sites of resistance. 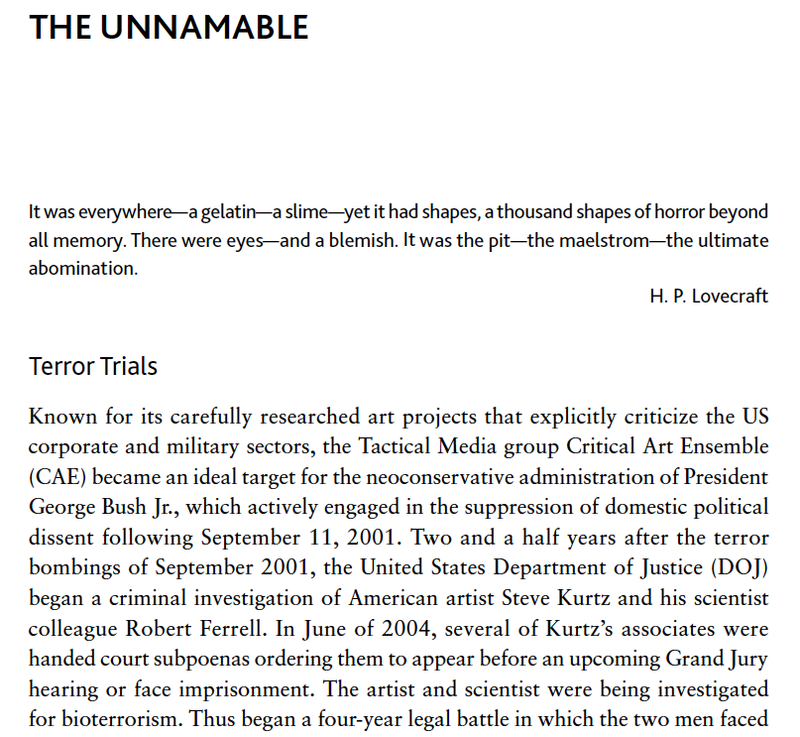 The Unnameable, as the chapter is titled, points to a people yet to come, the Dark Matter of the art world. Artist, academic, author and activist Gregory Sholette will be in conversation with curator, writer and filmmaker Katherine Waugh. A key event for artists and curators, this public talk is presented as part of the durational Skibbereen based Urban Explorer project led by artist Sheelagh Broderick and supported by CREATE, the National Agency for the Development of the Creative Arts through the Artist in the Community Scheme. Sholette’s acclaimed book Dark Matter: Art and Politics in the Age of Enterprise Culture argues that while art is big business for some, the vast majority of artists are ignored or dismissed by critics but that these marginalised artists, the ‘dark matter’ of the artworld are essential to the survival of the mainstream.